I am going back to Boston. I feel a wee bit of a fraud because I qualified with a time of 3:27:47 which is slower than my previous Boston qualifier time, but as I move up an age group to the dreaded 50+ group it is still a qualifier. I scraped in by all of 35 seconds! 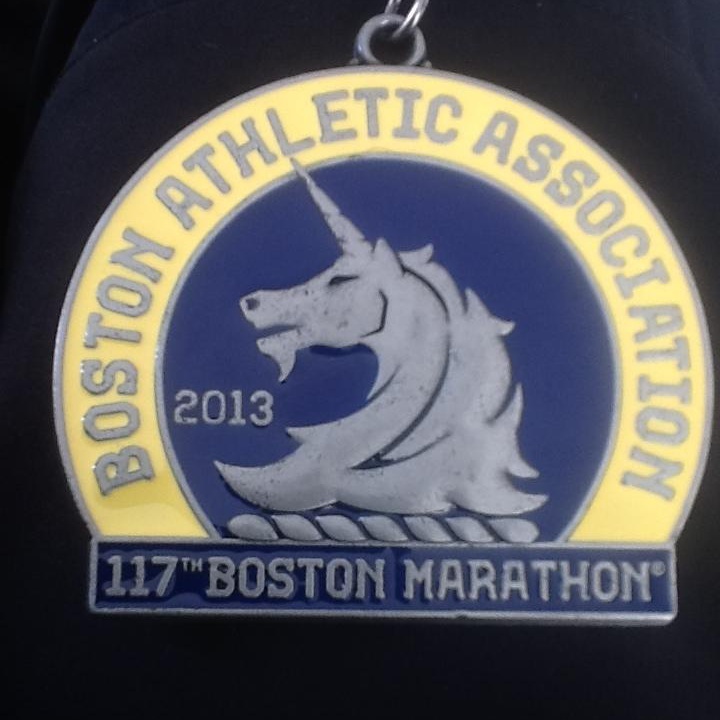 Regardless, I am proud to be able to call myself a two-time Boston qualifier. Going back to Boston means so much more than personal gratification. When I passed through Logan airport last year I spoke with an airport security guard who had spent the week watching shocked runners depart the city. He asked if I would return. I assured him I would. This story is recounted on the last page of Hal Higdon’s book 4:09:43. I didn’t quite get the last word in the book because that was given over to the President of the United States but I can live with that. For me, it is important to go back. 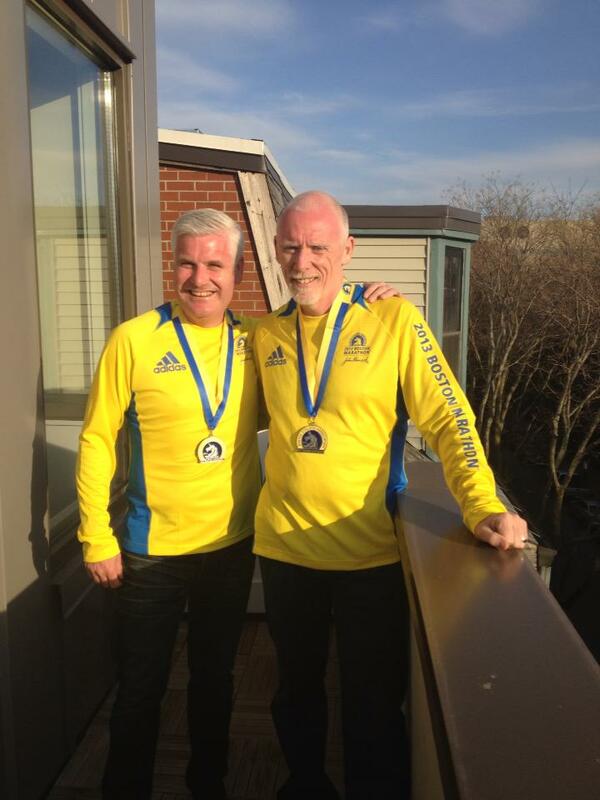 It is important to go back and run to honour those hurt by the bombings on April 15th 2013. It is important to go back because I said I would be back and it is important to honour commitments you make. The race would still run without me. John Munro is a nobody, one of the little guys. Sometimes however, the little guys have to stand up and be counted. In a world where we are constantly manipulated by governments and media alike, and terrorised by those who are mad, bad, marginalised, misguided or misunderstood there comes a time for each and every one of us to stand up and say I will not be intimidated. There is something peculiarly belligerent about the Scots. We take pride in not backing down. Whether it is small nation syndrome from living with an oppressive large neighbour; several hundred years of being imbued with a depressing Calvinist work ethic; or simply the resillience honed through generations of exposure to miserable weather, we are generally up for a fight. History suggests we are glorious losers but that in itself is not such a bad thing. Mixed with an inherent sense of fairness and decency, from Bruce to the Black Watch to Braveheart the reality and myth of the fighting Scotsman has perpetuated. The Scottish Regiments take the old motto “Nemo me Impune Lacessit” or as Billy Connelly translates it for the modern era “Oh you bloody think so!” I am proud to be Scottish, and I am proud of the reputation that we as a nation carry, and when I travel overseas to run, I proudly wear the Saltire on my vest. I can’t fight battles or do anything heroic, but I can go and stand on the start line in Hopkinton, shoulder to shoulder with 30,000 other runners on 21st April 2014. Has it crossed my mind that someone might target next years race? Of course it has. I can wear my Saltire to show that I come from Scotland and show the world that even if I am afraid, I will not be deterred by bombers and I will not back down. 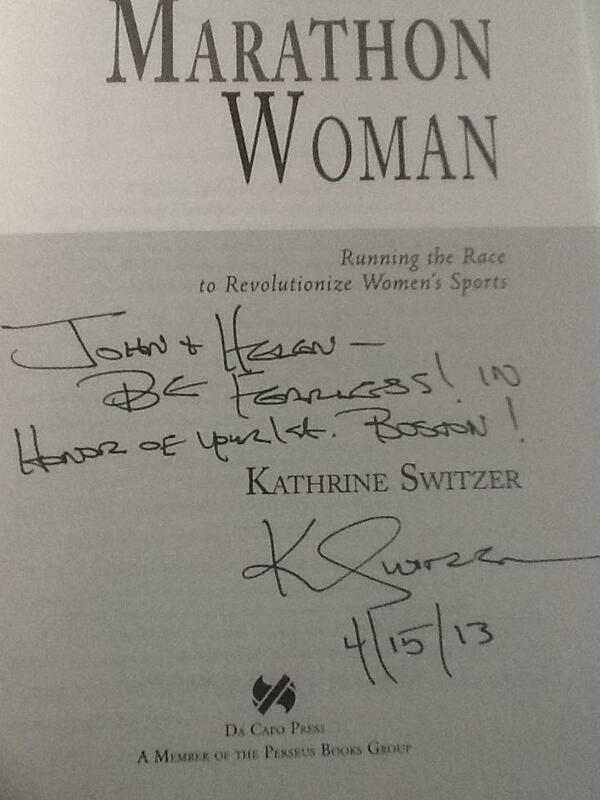 I shall be on the start line and when the gun goes, I shall remember Kathrine Switzer pressing a charm into my hand and telling me to Be Fearless. I shall run with all of my heart, I shall rejoice in screams which are joyous at Wellesley, I shall rage up Heartbreak Hill and I shall use up every last drop of breath as I run along Boylston watching for the love of my life with her Saltire draped over the barriers not far from the spot where the bombs went off last year. I will cross the finish line and I will be counted.